LONDON – Local investigators from the Financial Intelligence Unit (FIU) and the Liberia Anti-Corruption Commission comprising the investigative team set up to probe the fate of Liberia’s missing billions saga reportedly hit a wall in their quest to inspect the vault of the Central Bank of Liberia, before they were finally allowed access late Wednesday. Multiple sources confirmed to FrontPageAfrica Wednesday that two attempts first on Monday – and then Tuesday – by local investigators were greeted with resistance as investigators were reportedly refused entry on orders of Deputy Governor Charles Sirleaf. FPA contacted CBL and the Executive Mansion about the reported refusal of deputy governor Sirleaf to allow the investigative team, but authorities there declined comment. However, a source at the Executive Mansion told FPA in confidence that President George Manneh Weah called and instructed deputy governor Sirleaf to allow the investigative team in the vault and that no one at CBL should be a obstacle to the investigation. Some reports Wednesday suggested that investigators had threatened to get a court order to gain entry to the bank vault and even went as far as threatening Mr. Sirleaf with securing a search warrant in a bid to force the CBL to grant the team access. A Justice ministry official when contacted Wednesday denied the report but said that the inspection of the vault would instead take place today. The source added that foreign investigators under the banner of the US embassy will however be allowed to inspect the vault. Those investigators are also expected to visit commercial banks and key financial institutions in a bid to get to the bottom of the scandal. Late Wednesday however, one security source confirmed to FPA that the local investigators were finally allowed to enter and inspect the vault with sources telling FPA that only a small amount of local currency is currently in the vault, contradicting CBL’s assertions last week that it could account for all of the reported mission LD15.5 billion. The government had previously given conflicting accounts about the whereabouts of the money with some suggesting that it was infused into the economy while others saying it was in the vault. According to sources at the CBL, a very low amount printed between 2016 and 2017 is in the vault. This, according to the source, is to be expected as funds have been paid out to exchange mutilated bank notes, for the replacement of some of the legacy notes as well as the ongoing operations of the CBL where some of the currency has been paid out to the commercial banks for their operations as well as to meet government expenditures. Insiders insist that if all of these amounts paid out are added up to the amount remaining in the reserve vaults at the CBL, it will add up to the total amount of currency printed and imported but in the absence of actual paperwork to validate those claims, many Liberians remain skeptical. What remains puzzling for many, is that a substantial part of the currency paid out is not being circulated in the banking system, but is reportedly being held by businesses, including exchange bureaus and small money changers, hoping to maximize profits when and if the exchange rate drops. This low amount is creating liquidity problem to pay the LD portion of government salaries and pensioners. Last week, CBL Governor Mr. Nathaniel Patray declared that the bank had no record showing that monies printed under its authority have not yet been delivered into its reserve vaults. “Records from Crane Currency of Sweden, which was contacted to print the money, show that Crane delivered L$15.5 billion through the Freeport of Monrovia and the Roberts International Airport between 2016 and 2018, and that all these monies were logged by the CBL and delivered into the reserve vaults of the CBL,” the governor averred. The CBL President’s statement drew angry reaction from many concerned that the bank was pre-empting the investigation. Adding more fuel to the saga, the investigative team set up by President Weah complicated matters by stating that there was no need for international assistance to probe into the missing money. Alex Cuffy, who is the brother of Madam Celia Cuffy Brown, the acting head of the National Port Authority (NPA) when billions of local currencies reportedly came into the country, is being haunted by concerns over conflict of interest. Both Mr. Cuffy and Mr. Charles Gibson, representing the Liberia Anti-Corruption Commission, said last week that they saw nothing wrong with the CBL’s statement. “We interpose no objection to the matter. While the CBL has said that it can account for all of the missing money, many Liberians have been skeptical. Now many are hoping the ongoing investigation will settle the issue once and for all. The issue of the vault comes as the US. Embassy in Monrovia announced Wednesday that it was beginning to put its stamp on the investigation. The Embassy in a statement said, it has reached out to independent, internationally recognized firms with specialization in forensic investigations to conduct a scoping mission in a bid to ascertain the basic facts of the alleged missing currency matter and determine to what extent a broader mission would be needed. FrontPageAfrica has learned that the embassy’s statement has clearly ruled out the involvement of the US Federal Bureau of Investigation into the matter. A senior official said Wednesday that the embassy solicited the help of the United States Aid for International Development(USAID) to pay for some experts. “Washington is not involved, but has given its approval,” the source said. The credibility of the investigation has been a burning issue for many Liberians who appear to have lost faith in the team set up by President Weah. For the US embassy, a credible report on the ongoing saga would be the most credible and effective means to quickly determine the scale of the problem, and would be an appropriate means for the United States to support the Liberian government’s and citizens’ desire to understand the allegations and facts. Another key point of contention said to be emerging as a possible connection to the missing billions is how or who is responsible for the expenditure of the US25 million President Weah ordered infused in the economy to curb the rising US exchange rate against the local currency? The move was described by the CBL as a mop-up excess liquidity action. 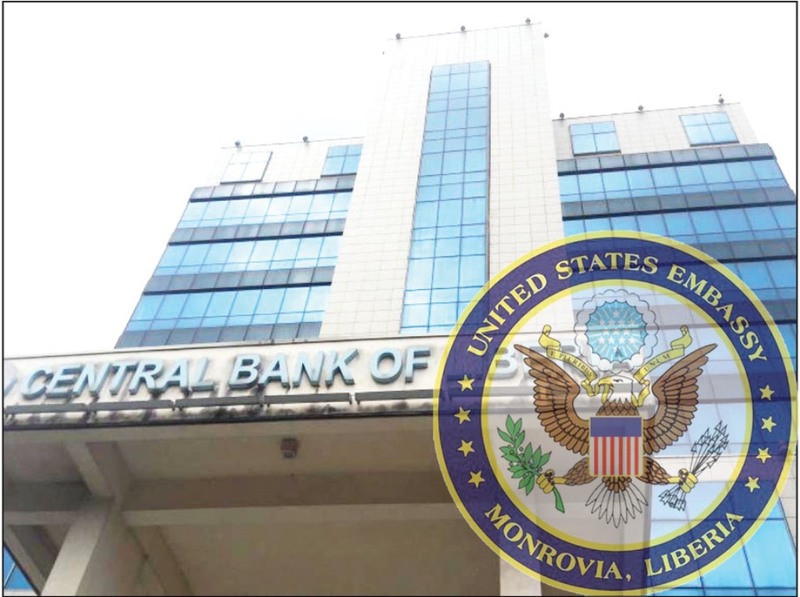 To date, the bank has not disclosed the quantity of excess Liberian dollars which the mop-up exercise was to remove from circulation as all the major commercial banks in the country have quietly expressed concerns that they were left out of the process. The CBL has to date been unable to produce the list of the recipients of the US$25 million, reportedly now telling investigators that the Ministry of Finance was in charge of the operation. Deputy Governor Sirleaf has reportedly told investigators that he has no idea how the money was distributed and pointed investigators to the direction of the Ministry of Finance. What is unclear one source said Wednesday, is whether or not the finance ministry recommended businesses that received a portion of the US$25. An executive mansion source speaking strictly on condition of anonymity, said it is rather surprising that Mr. Sirleaf who is the CBL deputy for operations and gives the final approval for the inflow and outflow of cash will tell investigators to ask the Finance Minister. The mystery of the US$25 million comes amid rising concerns that all five commercial banks in the country are strapped for cash with some suggesting that their monies are being held up by the CBL. As a result consumers are finding it difficult to withdraw both local and foreign currency from commercial banks, prompting many to wonder why the recently-printed bills the CBL says is in its vault is not yet being felt amongst consumers. The saga of the missing billions is causing serious embarrassment for the Weah-led government which has been struggling to present a clear-cut message to the public. Both Minister of Finance Mr. Tweah and Justice Minister Frank Musah Dean have said separately that the inquiry currently ongoing is to determine whether sums of money brought into the country had been properly declared and not whether the monies had disappeared. “I am saying that there is no missing money. No one is looking for billions of dollars,” Minister Tweah said recently. Some international stakeholders are said to be concerned that key officials in the administration have been downplaying the allegations dogging the government and paying deaf ears to the magnitude of concerns mounting from a cross section of the Liberians both at home and abroad. Contradictory statements from several key officials in the government have been compounded by the utterances of the government’s chief spokesman, Information Minister Lenn Eugene Nagbe. Nagbe had previously put the funds in question at LD16 billion from the initial LD9 billion first reported. 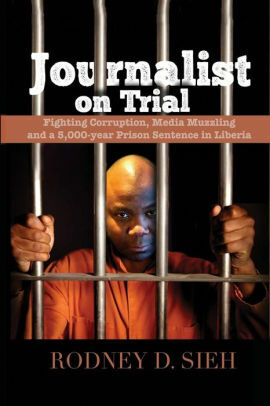 But last week, while addressing the Association of Liberian Journalists in America annual conference, the minister took issue with the CBL’s assertions that no money is missing from its vault, insisting that the investigation is ongoing. “Our position is that monies were printed and brought in the country, we have launched an investigation to account how it came in, how it went into the vault and everything. The Central Bank itself is a focus of the investigation; if I’m being investigated I have to give my side of the story so the Central Bank says ‘As far as we are concern, there’s no money missing’, that doesn’t preclude the investigation from going to its logical conclusion. The investigation will continue, we’ll avail ourselves to the public, we’ll make the investigation transparent and, in the end, the Liberian people will see all the facts,” he said. The entire saga has been further complicated by President Weah who himself said upon his return recently from the UN General Assembly, that no money is missing and threatening journalists who reported saga with investigation. For the immediate future, many are hoping that the intervention of the US embassy would go a long way in bringing closure to a saga that is eclipsing much of the government’s pro-poor agenda. For the foreseeable future however, a number of daunting questions continue to linger. Among them, how a huge quantity of the legacy dollar bills that were supposed to have been burned is still in circulation and what is being done to pull the notes from the market? In the meantime, advocates driving the #bringbackourmoney campaign are continuing to pile pressure on the government. Both the Economic Freedom Fighters of Liberia (EFFL) and the Concerned Citizens United to Bring Our Money Back (COCUBOMB) are said to be planning a second rally to maintain the momentum – even as the US through its embassy in Monrovia is calling for calm as independent forensic investigators look to unravel the mystery of the missing billions saga. Why Is Liberia a ‘Bad Destination’ for Investment?